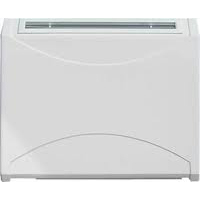 The Meaco Dehumidifier range includes wall mounted units for use in swimming pools and other commercial applications and the DD122FW MK4, one of the best models you could choose for use in a garage, on a boat or any other place where temperatures may fall close to freezing point during winter. The DD122FW MK4 uses desiccant technology to remove moisture from the air which is quite different from the refrigerant process traditionally employed. This technology was, until quite recently, too expensive for use in portables for use in the home but is now affordable due to recent advances in design. The company was founded in 1991 and in its early years the company focused on monitoring and control equipment for museums and art galleries. This led to the production of humidifiers and dehumidifiers but the principal expertise of the company was in monitoring and measuring equipment including thermohygrographs and thermohygrometers. In 1992 the company, working closely with the Victoria and Albert Museum, developed a radio based environmental monitoring system, the first such system in the world. This led to the company becoming much more widely known and in 1999 they became sole UK distributors for the Mitsubishi range, among the best dehumidifiers for home use on the market, both then and to this day. Some five years ago the company refocused its efforts and concentrated on their air quality products, including portable air-conditioning units and heating appliances, for both residential and commercial users. The dehumidifier range offered today is quite restricted and reflects the high standards which Meaco demands before it will retail any appliance. The range includes a number of models marketed under the company's own name and it may be assumed that these units meet all of the same high standards the company expects of the best brands it supplies. The DD122FW-Mk4 is a desiccant unit which differs from a refrigerant model, the more common type, in the way it removes water from the air. The desiccant type does not condense water on a cold surface. Instead it uses a material called a desiccant which absorbs water molecules from the air. The main advantage of a desiccant unit is that it is effective at low temperatures. The Meaco DD122FW-Mk4 will continue to remove serious amounts of water at any temperature down to 1°C. It can do this because it does not need a refrigeration system and does not suffer from icing inside the unit. It is icing that reduces the effectiveness of a refrigerant unit in cooler temperatures, below 18°C. Because there is no refrigeration system there is no compressor. This makes a desiccant unit smaller and lighter than an equivalent refrigerant model. It also makes the DD122FW-Mk4 a little quieter, although this is often overstated by sellers. The disadvantages are higher energy consumption and an unpleasant odour. The odour is caused by chemicals in the air, such as those from tobacco smoke, which are trapped by the desiccant and later released into the air. Another factor to consider is that the desiccant type heats the air it returns to the room by 10-12°C, much more than the heating effect created by a refrigerant model. I strongly recommend the Meaco DD122FW-Mk4 for use in applications where the temperature is low, a garage or a boat in winter for example. Inside the home, at normal room temperature, a refrigerant unit is equally effective, cheaper to run, does not produce an odour and is, at most, marginally louder. The Meaco DD8L is a slightly more powerful desiccant model in the Meaco range and my comments about the DD122FW MK4 apply equally here. One of the "selling points" of desiccant units is their allegedly "whisper quiet" operation. Please don't allow yourself to be convinced. The main source of noise from a refrigerant model is the fan, not the compressor. The desiccant type has two fans; one to draw in the air to be dried and a second which pushes a stream of warm across the desiccant material to drive the water out so it can be collected in the bucket or drained away. Desiccant models such as the DD8L don't need to be over-sold. Their advantage in low temperature conditions is sufficient reason to buy one. 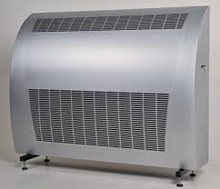 As with the DD122FW MK4 I recommend the DD8L for use in cold areas but for inside the house my choice would always be a refrigerant unit. The Meaco 10L is relatively low powered unit for use in a single room of your house or any small home, such as a one bedroom flat. The 10L is a competent performer although not exceptional in any way. What is exceptional however is the very competitive price at which this unit is being offered for sale. The 10L is a handy unit in small spaces, being both light and compact, and has electronic controls, a feature not usually found in lower capacity models. This unit is also fairly quiet and economical to run. For a smaller area the 10L offers excellent value for money and, for that reason, I am more than happy to recommend it to our visitors. The Meaco 20L has twice the capacity of the 10L and will be effective in a correspondingly larger area. The 20L is quiet, light in weight and compact for a unit in its class and boasts a full range of useful features. Attention has been paid to the appearance of the 20L and it looks as if it belongs in the modern home. A neat touch is the recessed castor wheels which add considerably to the overall visual appeal of this unit. Technically this is a sound appliance and one to look at seriously if you can find it at an attractive price. The 300i is configured for use in the warm and humid atmosphere of an indoor pool. The unit may be mounted on the floor or wall-mounted as required. A wall mounting kit is available as an optional extra at additional cost. Other options include a remote wireless humidistat and Low Pressure Hot Water (LPHW) heating, also at additional cost. A version of this unit is available with a stainless steel casing at a significantly higher price. The water extraction rate of the 300i is 54 litres per day at 30°C and 80%RH, enough for a pool with an area of 43m2 in a typical application. Advice should be sought from the supplier to ensure that this unit is large enough for your needs. The 500i Swimming Pool Dehumidifier is generally similar to the 300i but is a wider and substantially more powerful unit. The 500i will pull as much as 86 litres per day from the air and has the capacity to control humidity in a pool with an area of around 86m2. The installation and other options available for the 500i are identical to those for the 300i, including a stainless steel version of this model. Both models are built to meet the demanding conditions found in a swimming pool enclosure and these qualities make both suitable for other commercial applications where similar conditions apply. Prospective buyers should bear in mind that indoor pools are maintained at a temperature comfortable for swimmers and that these two units are not designed to operate effectively in temperatures below 15°C. The 800i Swimming Pool Dehumidifier is the next step up in terms of capacity. It has an extraction rate of up to 148 litres per day and will control humidity generated by a pool of up to 118m2. This unit is configured differently from the 300i and 500i and is larger but the available options are much the same. It can be installed on the floor, on the wall in the pool enclosure or for through-wall use if it is preferable to keep the unit outside the enclosure. One notable feature of Meaco swimming pool dehumidifiers is their low noise output and the 800i generates only 46dB. This is another aspect of the range that makes these units attractive to commercial operators who need to control humidity in public areas. In common with the smaller dehumidifiers the 800i is not suitable for low temperature applications where the ambient temperature is below 15°C. At the top of the Meaco range is the 1200i. The power of this unit is sufficient to pull as much as 197 litres of water per day from the air, sufficient for a pool with a surface area of around 157m2. 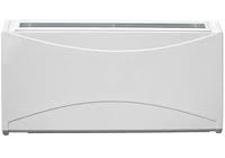 Despite the extra capacity the 1200i is no louder than the 800i and provides identical installation options, including through-wall mounting to further reduce the noise nuisance and to keep the appliance out of sight where this is important. Perhaps surprisingly the 1200i is no larger than the 800i making it a very compact unit for its power. This model too is suitable for a range of other commercial uses for which its three layer anti rust coating and resistance to damage from certain chemical agents (as found in swimming pools) may make it particularly attractive.